Medical Massage differs from Swedish Massage and other Bodywork in that the treatment is specifically directed to resolve conditions diagnosed by a medical doctor. I may use a variety of modalities or techniques during the treatment, but I focus the treatment only on the specific areas of the body related to the diagnosis. The objectives of treatment are met over several visits instead of during just a one-hour treatment. Sports Massage is a type of massage designed for highly active people who engage in athletics. Engaging in sports is harsh on the body and can often lead to injuries in both the short and long term. Sports Massage enhances performance and prolongs a sports career by helping to prevent injury, reduce pains and swelling in the body, increase flexibility, and dramatically improve recovery rates. Sports Massage is also highly effective in aiding the rapid recovery of an athlete from an injury by encouraging greater kinesthetic awareness and in turn promoting the body’s natural immune function. Deep tissue massage is a form of bodywork that aims to relieve tension in the deeper layers of tissue in the body. 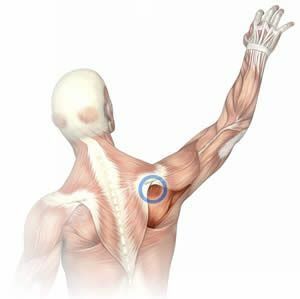 Deep Tissue Massage is a highly effective method for releasing chronic stress areas due to misalignment, repetitive motions, and past injuries. Due to the nature of the deep tissue work, open communication during the session is crucial to make sure you don’t get too uncomfortable. Keep in mind that soreness is pretty common after the treatment, and thatplenty of water should be ingested to aid with the flushing and removal of toxins that will have been released from the deep tissue during the session.